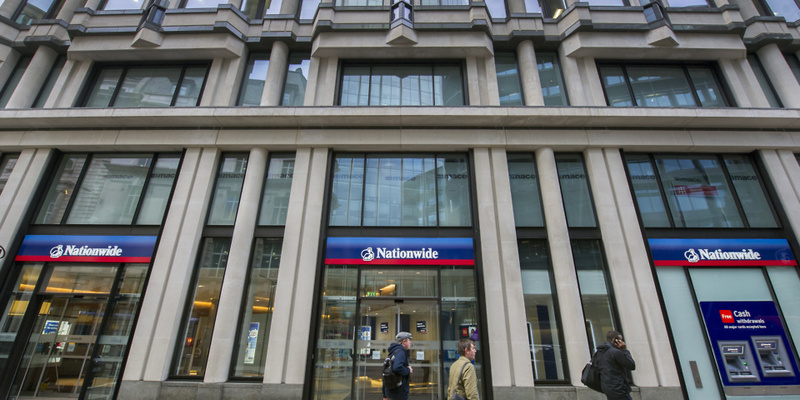 Nationwide has pledged to retain a branch in any town or city where it currently has a presence for at least two years – bucking the worrying trend in recent years of big banks closing high street branches. And the building society has vowed that this policy will remain in place even if rival banks are situated in the area or not. Since 2015, Britain’s local communities have been devastated by more than 3,300 bank closures, according to exclusive research by Which? The rise of digital and cashless banking has coincided with more and more ATMs and local bank branches disappearing from towns, villages and small cities across the UK, often directly impacting vulnerable members of the public who rely on traditional banking. Which? looks at the significance of Nationwide’s announcement, its track record of closures and how it compares to other banks. Up until May 2021, Nationwide has pledged to keep at least one bank branch in any town or city where it currently has one, regardless of whether rival banks or building societies are present in the area or not. Nationwide said it will still close branches ‘where it makes sense to do so’ – for example, where two outlets are near each other and could better serve members if they were combined and received additional investment. Over the next five years, Nationwide said it is committed to spending £350m, including £80m in 2019, on its branches by introducing high definition video and iPad features and areas where members can chat. Exclusive Which? research revealed in September last year that at least 3,314 branches have been closed at a rate of nearly 70-a-month. This comes as it was revealed that ATMs are closing at a rate of 500 a month, sparking fears nearly three million people who rely wholly on cash in their daily lives are at risk of being left behind. How many branches has Nationwide closed since 2015? According to Which?’s analysis, the building society has closed 21 branches in the past four years, with nine of these closures scheduled in 2018/19. Across the UK, Nationwide currently has around 650 branches. Nationwide’s rate of closures is relatively small compared to other rival banking providers such as Natwest and the Royal Bank of Scotland which have closed 638 and 404 outlets respectively since 2015 up until January this year. HSBC has closed 440, although has stated that it has no further planned closures, while Lloyds Bank has shut or is due to close 396 branches. Which? has established 249 Barclays closures during the same period but as the company has not verified our research the true figure could be higher. In January, Santander announced it will close 140 branches before the end of the year, wiping out a fifth of its network and putting more than 1,200 jobs at risk. The number of bank and building society branches has dropped from more than 20,000 to around 7,500 in the past 30 years, based on government figures and Which? findings. What are the alternatives to high street banks? The Post Office banking services are an option if your bank has closed. According to UK Finance, 99% of retail banking customers can carry out basic banking at one of 11,547 Post Offices across the UK. Post Office banking services are limited to withdrawing cash from your current account, checking your balance and paying in cash and cheques. The list of things you can’t do at the Post Office, however, is significantly higher and customers are unable to transfer money, seek advice or make enquires about financial products. Read more: Can the Post Office really plug the gap as bank branches are shut down? Both the RBS Group and Lloyds Banking Group offer mobile banking vans, which visit local communities and allow you to cash cheques, make deposits and withdrawals, and pay bills. Click on the relevant links to find out where NatWest, Royal Bank of Scotland, Lloyds Bank and Bank of Scotland operate. Many banks including RBS, which has a team of experts, and Barclays through its Digital Eagles initiative, are helping people set up their mobile and online banking through staff based at branches, who also offer advice about security. Bank branch closures: is your local bank closing?